Action: Choose a character that is currently committed to a story. That character remains committed when that story resolves this phase, unless the story is won. 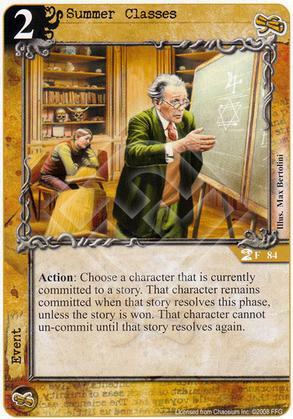 That character cannot un-commit until that story resolves again.